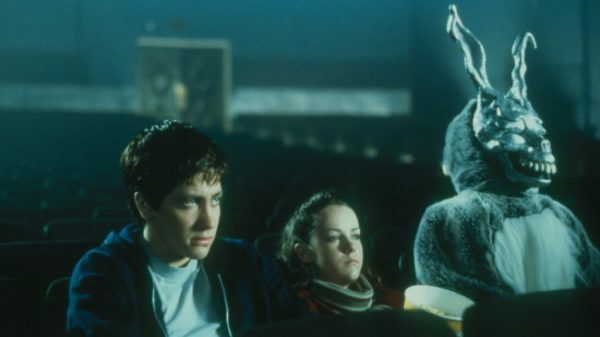 I first saw Richard Kelly’s Donnie Darko at a film festival in 2001, and while I failed to embrace it myself, I could instantly tell it was set to become a modern cult classic. While its director could never repeat its success, its young star, Jake Gyllenhaal, would go on to become one of the most interesting actors of his generation. Newly restored, Donnie Darko plays all week at both the Lighthouse and the Irish Film Institute. Two of the year’s most misjudged movies hit cinemas this week. In Collateral Beauty, Will Smith plays a grieving father who becomes the victim of an elaborate plot by the partners at his ad agency to prove him mentally unstable and thus force him to sell his stake in their company. It sounds like the premise of a thriller or a screwball comedy, but Collateral Beauty believes it’s a charming exploration of the human condition. Think It’s a Wonderful Life, if Clarence pushed George off the bridge. In the equally problematic sci-fi drama Passengers, Chris Pratt wakes 90 years too early from hibernation on a 120 year long intergalactic voyage. Feeling lonely, he condemns Jennifer Lawrence to the same fate by waking her up too. The movie seems clueless as to just what it’s dealing with here, essentially excusing the behaviour of a predator. It’s inconceivable how this got made in 2016.